It’s that time of year! The time when the weather is warming up and people are just itching to socialize. 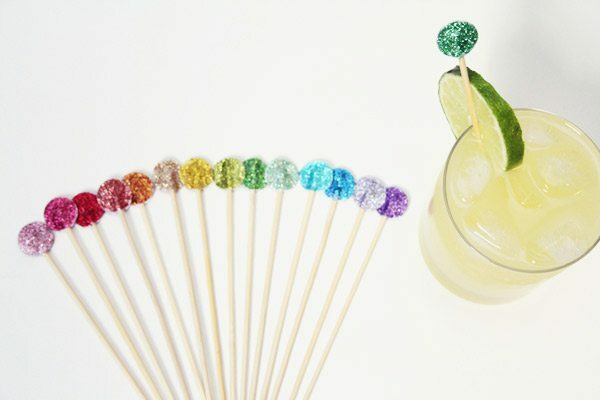 So the next time you’re playing hostess to the gang, whip up these little swizzle sticks and pop them in everyone’s drink. 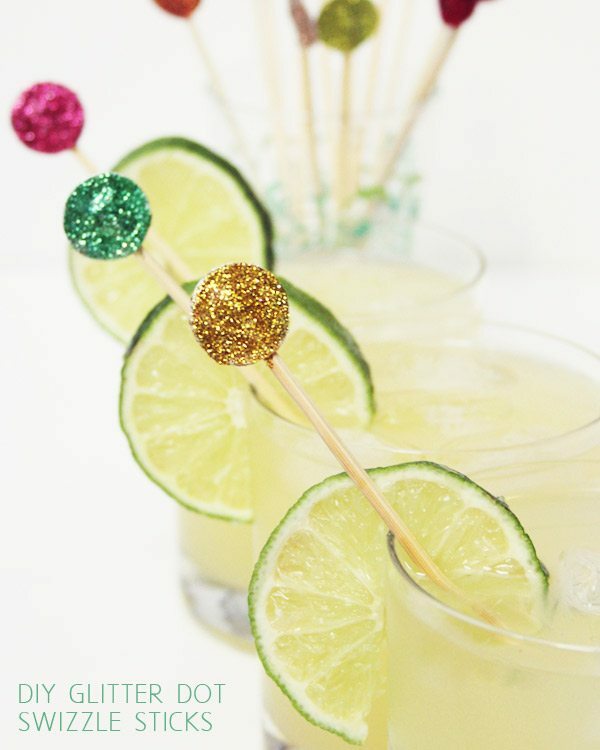 Undoubtedly, you’ll be the belle of the ball. 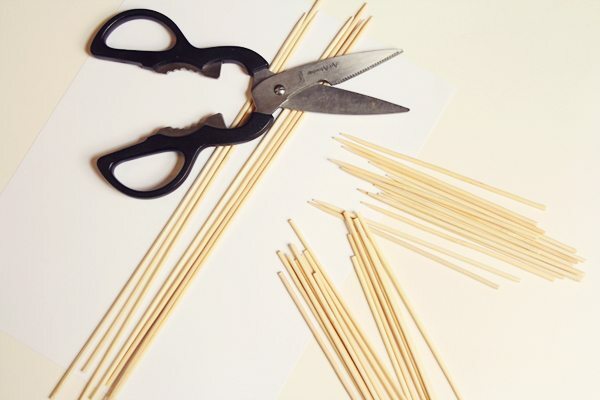 Start by either punching or cutting out 1-inch circles from the cardstock and cutting the barbeque skewers in half. 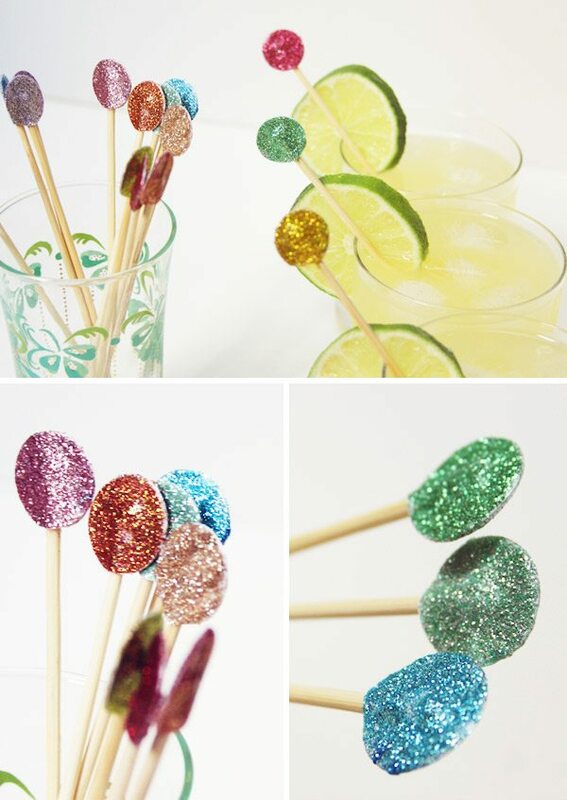 Decide the color you’d like the dots for your swizzle sticks. 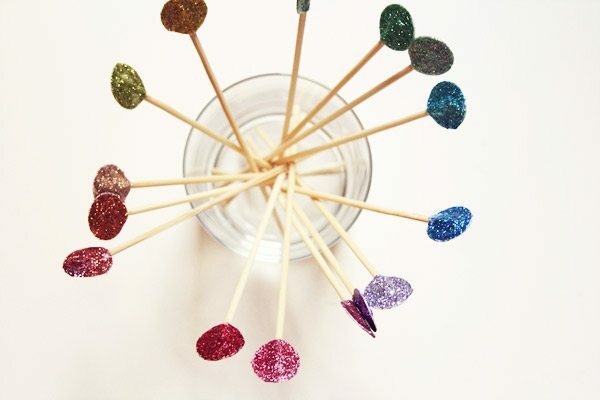 Each stick will need two dots, so glitter accordingly. 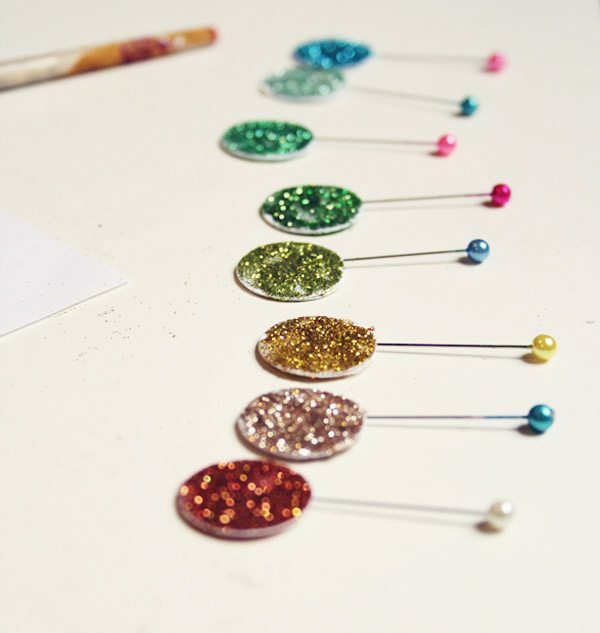 Spread a generous amount of ModPodge on one side of each dot and sprinkle with glitter. Let dry and retouch as needed. 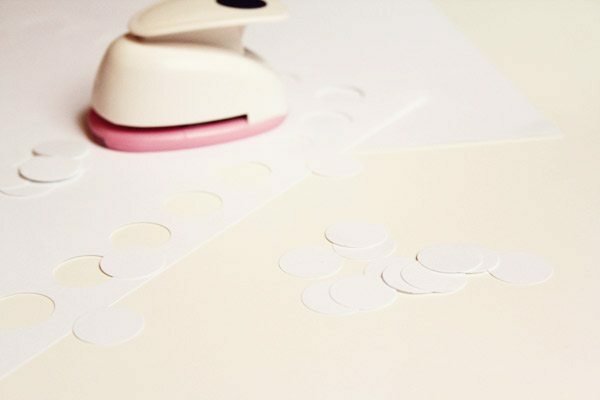 Once the dots are dry, take one dot and spread ModPodge three quarters of the way around the edge on the unglittered side. Attach the matching dot. On the edge with no glue, place a pin inside to hold the space open. 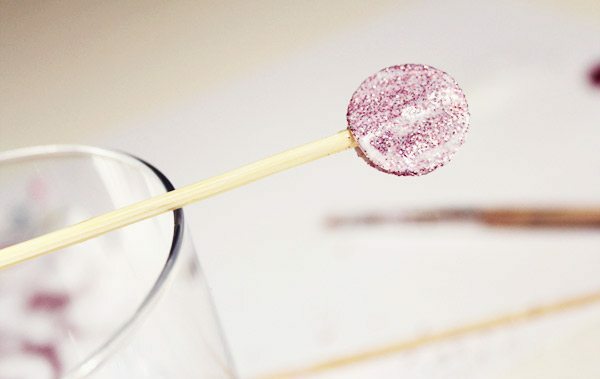 Let the dots fuse until the glue is almost dry, then slip in the end of a barbeque skewer. The fit should be snug. 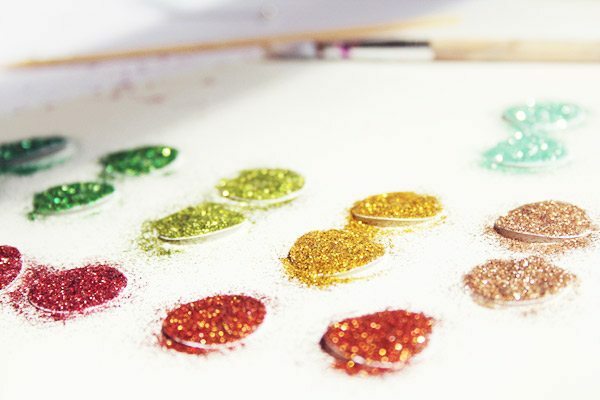 Finally, spread another layer of ModPodge over the glitter to finish.